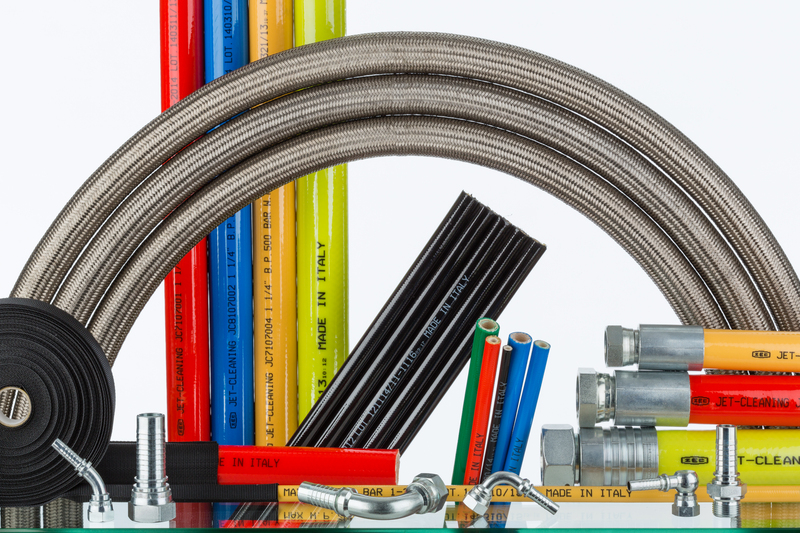 ZEC is a company backed by a long manufacturing experience in the design and IMPLEMENTATION of thermoplastic tubes for the transport of fluids for any industrial sector and application. Since its establishment, ZEC has been one of the first companies – on a national and European scale –that has specialized in the extrusion of plastic materials, carrying out researches and in-depth studies to manufacture a complete range of flexible tubes made of thermoplastic polymers at low, average, high and very high pressure for the transport of fluids in the hydraulic and pneumatic sectors. Dino Zantelli, ZEC General and Sales manager, tells us that already his father, Eugenio Zantelli, president in charge of the company, when he set up this enterprise, in 1961, strongly believed in the future of thermoplastic extruded products. 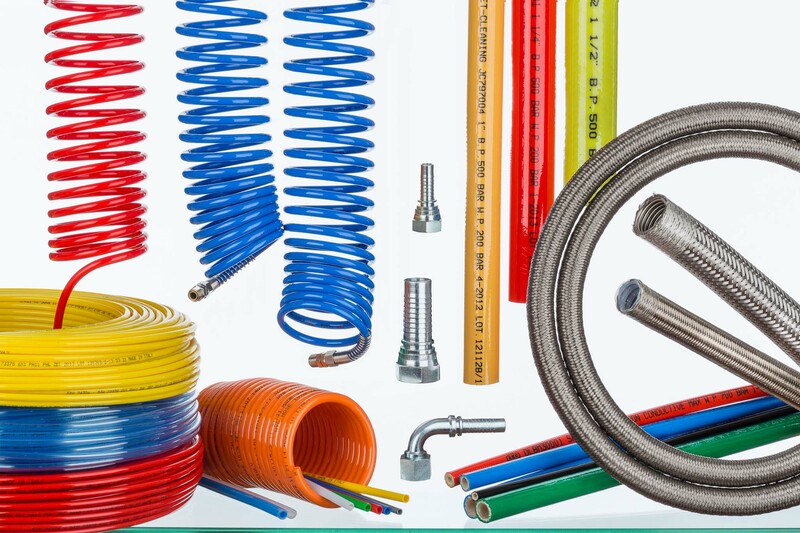 Along the years, in the headquarters at Colorno (PR), ZEC has perfected the production of flexible tubes for hydraulics and pneumatics, starting from textile braided tubes, afterwards joined by Kevlar and steel braided tubes and then by hybrid mixed Kevlar-steel tubes, up to encompassing a broad range of tubes reaching 1200 bars of operation, in addition to flexible PTFE tubes with stainless steel braid. The experience gained over the years has led ZEC to rely currently on a wide, standard and special, range of linear, single, multiple and spiral thermoplastic tubes, with technical characteristics that allow choosing an inner diameter from 2 to 40 mm, operation pressures from 5 to 1,280 bars and use temperatures included between -200°C and +260°C depending on typologies, thus solving the complex issues concerning industrial automation. 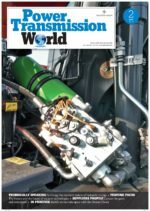 The sectors where ZEC is present are mainly hydraulics (Fluid Power) and pneumatics (industrial automation, where there are pneumatic applications that need the passage of compressed air) but, over the years, the company has also approached the cold water ambit (cleaning of road sewage drainage networks, very high-pressure cleaning machines), the industrial refrigeration sector, the field of paints and solvents, the oil & gas industry (including tubes mounted on oilrigs and in the submarine sector), chemical industry, polyurethane foaming, marine sector, automotive (truck braking systems) and food industry. «We withstood the hard economic crisis in 2009 – specifies Dino Zantelli – with the choice of diversifying products. This resulted in the rise of both domestic sales and of exports». 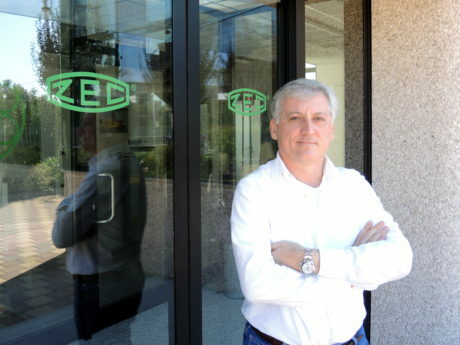 ZEC is present in various markets, which are important to make different experiences and for the company’s growth, especially the market of OEM (original equipment, system manufacturers), as for instance the producers of forklifts, tail lifts and so on, as well as in the distribution market (companies that market ZEC products). Dino Zantelli General and Sales manager. For the tube manufacturing, they use reliable innovative design and production technologies, raw materials are accurately chosen and selected and the production process, completely in-house carried out, is subjected to a severe quality control that makes use of sophisticated electronic equipment sharing in maintaining constant qualitative standards in time and assure reliability and a full product traceability. «We are assiduously committed to improving the tube quality», specifies Zantelli. «Our company has been ISO 9001-certified since 1999, quality has always been one of our main highlights, a factor in which the company has invested and on which has bet considerably along the years, thus certainly leading to positive outcomes of company’s growth». Today ZEC is ISO 9001-2015-certified, in compliance with the new quality system, and undoubtedly the company will go on investing in this aspect because the product quality has always been one of its feathers in the cap. The high qualitative standards, achieved through up-to-date sophisticated technology, allow the company to implement special and customized products, apt for meeting the trickiest technologies of its customers. Moreover, since ZEC production conforms to the main SAE, EN and ISO international regulations, ZEC thermoplastic tubes comply with world technological requirements, granting quality and reliability and contributing in expanding exports in all continents. Raw materials are important, and ZEC directly buys them from main word manufacturers, with which it has established sound collaborations. This concerns mainly polymer, material in grains for the production of low-pressure pneumatic tubes, and the inner cores of high-pressure tubes. Then they purchase yarns, which can be textile of polyester type and aramid fibre, besides high-toughness steel wires. «To grant high-quality products – Zantelli underlines – ZEC selects the suppliers of the raw materials used already at the origin, companies that assure technological assistance and quality due to the certification of their Quality System in conformity with the regulations in force. 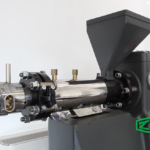 In any case raw materials are assessed and tested by ZEC before entering the manufacturing chain, using forefront control systems and complying with the strict procedures of the quality system». Every year ZEC invests about 8% of its turnover in Research and Development, relying on its own design office that stands out for experience and high know-how. Investing in this sector, always researching high-quality and high-performance raw materials, and pursuing the company’s all-round evolution, does not mean only investing in the product improvement but also in the process one, integrating in it application software that interface production and allow a constant updating of production data in real time, to be more and more competitive on the market, besides constantly investing in sophisticated control systems applied to the manufacturing cycle and the technological laboratory. Dino Zantelli explains that, to make the production efficient, it is necessary to plan in detail manufacturing departments and logistics, to fulfil job orders quickly, thus granting complete and efficient services to customers. All this is enabled by an advanced high-tech in-house computerized system that contributes in the quality of products and services ZEC provides to customers. The company, in fact, can implement in short time also the design and production of products tailor-made according to customers’ demands. The production line is subdivided into three macro-divisions. 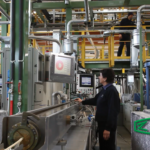 In the first department, they manufacture the tube inner core by extrusion. In the second the braiding phase is accomplished, thanks to which tubes are braided, conferring resistance to pressure; braiding can perform a single, double and multiple braid (3-4 braids), carried out with special braiding lines and using polyester fibre, aramid fibre and high-toughness steel. 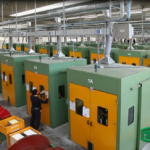 In the third department, the finishing one, still with an extrusion process of anti-abrasion polyurethane, they create the external tube coating, using apposite coating lines. The logistic aspect is as important: ZEC avails itself of a department taking up 5000 square metres to organize the corporate logistics, with a central warehouse where both raw materials and finished products are stocked up and where direct shipments to customers are fulfilled. «Currently, we rely on a total covered surface of 16,000 square metres – specifies Zantelli – and we are building a new manufacturing plant covering further 5,000 square metres, resulting, in 2019, in a total surface of 21,000 square metres». Braiding division; extrusion department; the first extruder bought by Zec in 1961. ZEC operates both on the national market, with 38% of turnover, and on the international one, with 62% of turnover. Concerning this, Zantelli highlights that during recent years the company has not only extended the production, increasing and completing the range of offered products, but, through the addition of fittings and accessories, it has also attained an international ranking directly supplying the plants of leader companies and resellers’ chains, reaching as many as 90 Countries. ZEC successfully exports its products in all Europe, in Australia, South America and North America and in some Asian territories. Primary export markets are Germany, United States and Russia. «Our strategy – Zantelli states – consists in following the market and suiting it day by day, as we are a very dynamic reality constantly evolving and it is important the company evolves hand in hand with it». 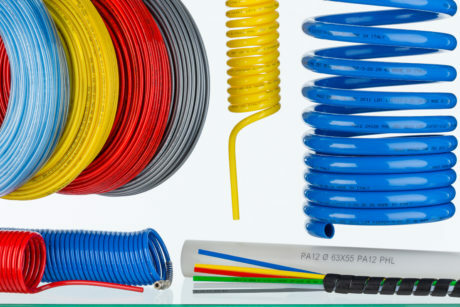 The range of ZEC thermoplastic tubes, due to certified manufacturing processes, provides technical advantages such as low weight and small overall dimensions, thanks to the use of raw materials with high-toughness and low specific weight; excellent resistance to fatigue stresses, alternate bending and vibrations; inner surfaces with high specular performance (higher flow rate with same diameter); very long duration and resistance to ageing. Moreover, tubes conform to REACH (2006/1907/EC) and RoHS 2 (2011/65/EU) European regulations. The market dynamism, as Dino Zantelli explains, imposes to ZEC to keep pace with times, then a constant product evolution occurs and the Research and Development team constantly researches new solutions to improve old products and to create new ones. Currently, top products are high-pressure tubes with textile braid, steel braid, hybrid mixed steel –Kevlar braid, as well as low-pressure tubes for the pneumatics sectors; speaking of particular products, it is worth mentioning drainage tubes for cleaning piping, high-pressure hydraulic tubes, tubes for applications on forklifts, on aerial platforms and also tubes for applications in marine ambit (on board of ships and yachts). «To reach important results – Dino Zantelli ends – we have to keep pace with the changes characterizing the market. Therefore, in the future ZEC will go on investing for the improvement of the manufacturing cycle and for a constant research aimed at the development of new qualitatively forefront products. In the future of ZEC, I envisage an unceasing evolutionary process to be fulfilled through investments in the product quality, in the innovation connected with Industry 4.0, in R&D and especially in human resources, who are irremissible for the success of a company».